A true entrepreneur, Ona Love Bolyard began his business in 1937 by buying concrete formed lumber from the construction site of the Sears department store in Highland Park, Michigan, which he would then clean and sell from his home garage. Shortly thereafter, Ona opened the very first Bolyard Lumber storefront in Hazel Park where he expanded the business to sell lumber, paint, hardware, windows and trim. Ona’s son, Dale, joined Ona Love in 1946 and was President of Bolyard Lumber until he passed the position to his son, Jake, in 1997. Today, in its fourth generation and 3 storefronts later, the Bolyard family continues to own and operate with the same principle on which Ona Love formed his business – the commitment to giving our customers the best service, quality and value. Jake joined his father at Bolyard Lumber in the early 1960s when he was only twelve years old. Still in school, Jake would spend his weekends and school breaks working in the yard. Upon graduating from Western Michigan University in 1972, he joined the company full-time. Jake is now President of Bolyard Lumber and also handles all of the lumber orders, is actively involved with daily sales, and participates in joint ventures with builders on construction projects. John began his career at Bolyard Lumber during the summer of 1990 when he was in high school and began working full-time in 1998. 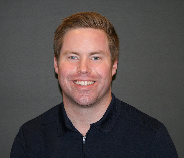 John is a graduate of Miami University with a degree in finance and is also a licensed builder. 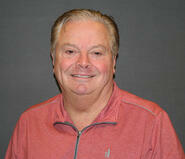 John serves as Vice President of Bolyard Lumber and also leads the outside sales force and estimating departments. Nick started working in the yard at Bolyard Lumber during his school breaks in 1994. 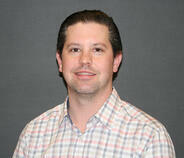 He joined Bolyard Lumber full-time in 2002 after graduating from Michigan State University with a Business degree. 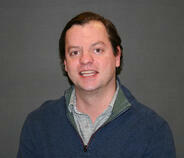 Nick is now part of our outside sales team and also heads the door & trim departments at our Rochester location. Liz recently returned to the family business in 2018 after working as a real estate, tax, trust and estates attorney in Chicago. After working many years at Bolyard Lumber when she was younger, Liz took some time off to attend the University of Wisconsin-Madison and Loyola Chicago University School of Law where she received her law degree. 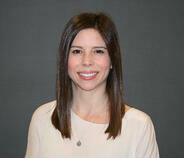 Liz now handles any in-house legal work and oversees the accounts receivable division. Like the others, Steve began his career in the yard at Bolyard Lumber. He began working during his summer breaks starting in 1996 and started full-time in 2005. 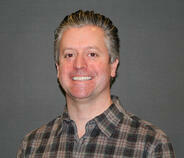 Steve attended Western Michigan University where he studied Business Information Systems. Steve works primarily out of our Birmingham location where he runs our door & trim department and also manages the custom cabinetry department for all locations. Brian started working at Bolyard Lumber when he was just a freshman in high school and later began working full-time in 2007. Brian graduated from Western Michigan University where he received his degree in Business Management and since has fulfilled the roll of managing the Birmingham location as well as handling the purchasing and outside sales there.